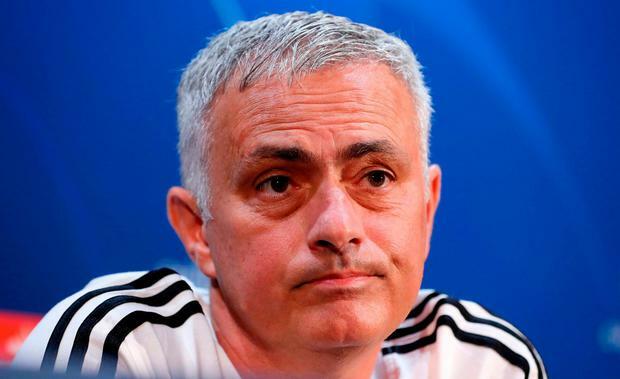 Jose Mourinho has suggested he cannot be expected to get more out of his under-fire Manchester United squad, as the club's beleaguered manager again hinted the club need to invest in fresh players if he is expected to compete at the highest level. United head into Sunday's game against Everton at Old Trafford sitting in 10th place in the Premier League, with their 1-0 defeat against Juventus in the Champions League last Tuesday highlighting the chasm in class between the top sides in the game and Mourinho's side. Yet Mourinho has again claimed he over-achieved at United last season, as he confirmed he predicted this would be a troubled season after the club's lack of transfer spending last summer. "My belief is that you did not take me seriously when I said that the second position was a phenomenal position for us And that this season was going to be difficult," he told reporters. "You did not take me seriously. You did not look to my experience and knowledge in football like I knew what I was going to say. In football now, every team is getting really powerful and is ready to invest millions. "The other day, Milan lost at home against Betis in the Europa League. Betis is a very good team. People in Europe probably opened their mouth on seeing Milan lose at home to Betis. Betis? They are a very good team, probably a better team than Milan. "So to make the upward curve from my perspective, I have just to work like I do now. That is my perspective. "I am a coach on the pitch, I get the players, I do the best work I can do. I meet the players at 11 o'clock for a tactical meeting to analyse the previous match and the next match. Then I go to the pitch and work with the players. That is what I can do. To try to improve my players all the time." Meanwhile, United midfielder Paul Pogba has claimed he has been blocked from talking to the media after his public comments appeared to infuriate Mourinho earlier this season, as he was stripped of his role as one of the club's vice captains. "I can’t talk, I am not allowed to talk. I want to, but they won’t let me. They have told me not to talk," Pogba told reporters after the Juventus game last Tuesday, repeating a claim he made earlier this month suggesting he had been told not to speak to the media.